When I received an email asking me to review World's Best Cat Litter™, my immediate response was, "Yes, yes, yes!" After all, I'd recently learned about all the horrific health problems associated with clay cat litter ... health problems that led to the death of some of my kitties. To think those conditions may have been caused by the litter we were using appalled, disturbed, angered and depressed me. Seriously. Not to mention the environmental impact strip-mining 1.5 million tons of clay every year was having. And the assumption that clumping clay litter never biodegrades in the landfill. Ouch. So, without hesitation, we made the switch to better alternatives. We tried a few different ones and simply were not happy with them. I don't recall the names of the first couple, but we did eventually try Swheat Scoop. While it was an effective litter, I did not appreciate the little specks of wheaty litter scattered throughout my house. Yuck. I was desperate to find a solution when, out of the blue, I got the email. 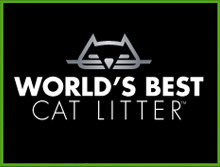 I'd never heard of World's Best Cat Litter™ and thought it was a rather presumptuous name. After reading about it, I must admit, I hesitated. Why? Because it is made from corn and I have a problem with using corn for things other than food. It seems we are depleting the food supply in our global effort to be green, and that is counterproductive. "We chose whole-kernel corn as the source of World's Best Cat Litter™ for a number of reasons. Whole-kernel corn is all-natural and highly absorbent, so it provides superior odor control and instant clumping for easy clean-up. Unlike clay litters, it is biodegradable, renewable, and sustainable. Our family of companies manufactures many products from corn that include food ingredients for human consumption, pharmaceutical products, animal feeds, and our cat litter, among others. The amount of corn used in the manufacture of World's Best Cat Litter™ is insignificant compared to global production and does not contribute to higher food prices or to food shortages. For over 50 years, corn has been used in the paper industry, for adhesives, corrugated products, etc. When we make products from corn, it is not a choice of whether to feed people or not; we are providing products that enhance our everyday lives, and support the American farmers and the overall economy. Other examples of corn-based products used everyday include: batteries, candles, cosmetics, automobile cylinder heads, and shoe polish. We are proud to manufacture a product that is safe for humans, animals, and the environment -- made from a renewable resource that is biodegradable." Fair enough. Besides, I wasn't finding a good solution for my cat litter problem that was healthy for the cats and the environment. So I decided to give it a try ... or should I say my husband gave it a try. After all, being the gentleman that he is, he doesn't want me touching the litter boxes, and I'm not going to argue with him, being the submissive wife that I am. Anyway, he cleaned out the 2 of the 3 boxes and emptied them of the remaining Swheat Scoop. Then he refilled them with World's Best Cat Litter™. His first reaction? There was no dust. Hallelujah for that! After years of breathing in the toxic dust from clay litter, a dust-free alternative moved up quickly on the approval rating. He was surprised by the appearance of the litter, expecting it to look more like, well ... corn. It doesn't. It looks a lot like clay litter. Next test was whether or not our three kitties would use it. They now had choices. Two boxes with the corn-based litter and one with the wheat-based litter. Guess what? Apparently, all three of them chose the corn. What does that mean for us? No more litter debris trampled through the house, onto the bed, in the rugs, etc. None. There seems to be no tracking with World's Best Cat Litter™. Higher up on the approval rating. What about clumpability (cool new word, don't you think?)? Excellent. Odor control? Excellent. To quote Bill, "It seems even better than the others, if that's possible." "You mean, as far as odor absorption?" "Yeah, that's it. It seems to absorb the odors." This is good stuff. Darn good stuff. Is it the world's best litter? I don't know. I've not tried them all. Is it the best we've tried? Absolutely. What is it about the clay litters I don't like, other than the environmental issues? Well, for one thing, the sodium bentonite particles in the litter dust (strewn into the air every time you pour the litter or your kitty scratches in it) contains silicon -- a known carcinogen!! That should be enough of a reason right there! But that's not all. Clay litter has been linked to respiratory problems, intestinal blockages, and a menagerie of other potential conditions. Admittedly, I have not tried the recycled paper option, although I do like that idea. It's biodegradable that can be flushed, if you so choose. We have old pipes and are very careful what we flush, so this isn't an option for us. There are various sizes, from 7 lbs. to 34 lbs. On a side note -- if you decide to switch from clay litter (please do) and you're thinking about trying Fresh Step Crystals, I urge you to reconsider! This silica-based litter is reported to be tied to lung cancer, bronchitis and a form of tuberculosis that can be fatal for your kitty. Today only (11/30/11) -- if you 'like' their Facebook page, you will be entered into a drawing for a $100 gift card to Target, PetSmart or Petco! 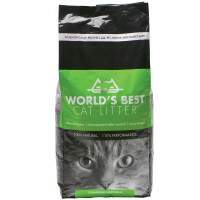 If you're not convinced about World's Best Cat Litter™, I suggest you head over to the website, find a retailer close to you (Target, Petco and PetSmart all carry it) and pick up a 7 lb. bag. Give it a try and decide for yourself. You just might realize you've discovered the world's best cat litter! 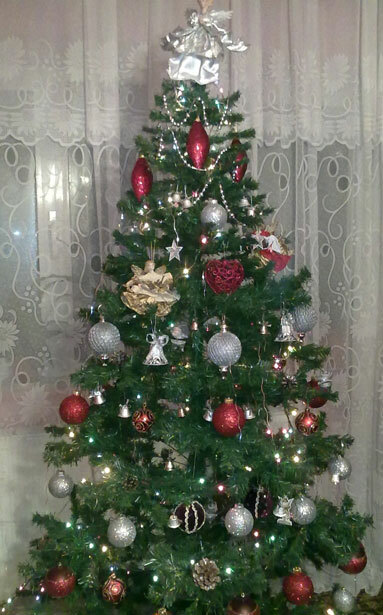 Christmas trees – how green can you get? Today's guest blogger, Sue Hartman, shares her thoughts and ideas on where your Christmas tree choices fall on the green meter. Buy a plastic or metal tree that goes into a landfill when you are done with it and stays there for however many hundreds of year. Making it also takes up valuable resources. Some twisted metal trees can be recycled – check with your local recycling center. If it is still in good shape, but you want to switch to a live tree, consider donating it to a Goodwill or local community center. Buy a live tree, use it, and set it out for the trash (not in a big plastic bag or you are back to the landfill issue as in number 1. Buy a live tree, use it, then chip or mulch it yourself, donate it to be chipped/mulched or put it somewhere on your property to break down organically and enrich your soil. You can use Earth911 to locate your nearest Christmas tree recycling program. Buy a live tree from a Christmas tree farm that will immediately plant one in its place, and then follow the disposal directions above. Buy a live tree with the root ball from a Christmas tree farm or a nursery. Put it in a washbasin or large bucket of some type and keep it watered. Use it for the holidays and then plant it on your property afterwards. Buy a slightly smaller tree than you might otherwise, as you will be trying to move it in its root ball in and out of your house and into its planting hole after Christmas. Look up. 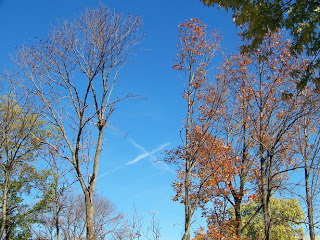 As the tree grows, is it going to hit power lines or other obstacles? 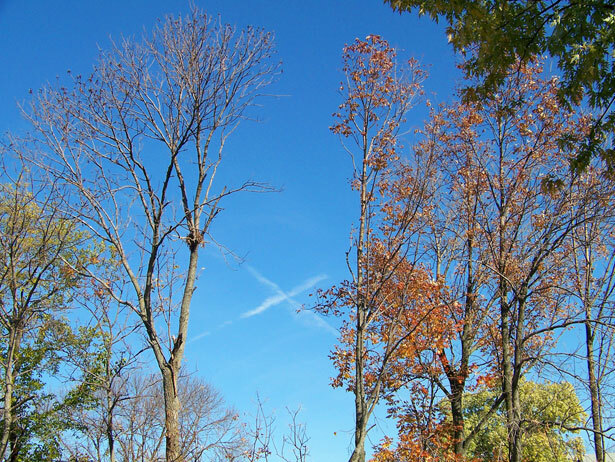 Find out how high the tree is expected to grow. Look down and around. Remember that the roots will grown out from the tree at approximately the same length as the tree is in height. The growing roots can lift up sidewalks and driveways if planted too close to them. Avoid planting trees near house foundations or underground services. Realize that pine trees make your soil more acidic and will kill any surrounding grass. Plant the tree away from the house. Dropped needles are very slippery. Do not plant your tree where the needles will fall onto steps, sidewalks or driveways as the tree grows. Either dig a large and deep planting hole early in December. Digging through frozen ground in January can be challenging. 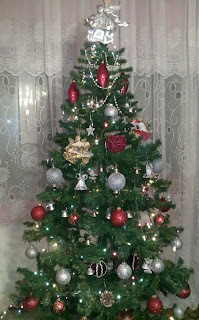 Buy a small potted tree and simply decorate that. The small pines, such as a Norfolk, can be reused and repotted year after year. After Christmas, if you don’t have the space or ability to plant the tree on your own property, donate your potted tree to a local park, church, school or friend. The Sabbath Experience ... during the holidays ... are you kidding me? Okay, so I'll admit a major fail on the whole 'resting on the Sabbath' part of my experiment/experience. Christmas is next month, after all! I don't know about the rest of you, but when we deck the halls, we really deck the halls! Our tradition is to start decorating the day after Thanksgiving, and to devote the next three days (and then some) to doing just that. But first, we have to take down all the fall decorations (my favorite). I have lots of cabinet space in my basement workshop dedicated to storing them, so I spent much of Friday cleaning up the workshop, putting away the pumpkins and candles and wreaths, etc., and pulling out the assorted winter decor items stored down there. Bill went to work on decorating the outside of the house, because we decided he couldn't pass up the opportunity to put out lights in 60 degree temps! It was a gorgeous day. Normally, part of Friday is spent carrying all the boxes and boxes and boxes down from the attic. But we broke tradition this year and didn't do that until early Saturday afternoon. There was plenty else to do before we starting digging into boxes anyway ... like cleaning. On Sunday, we went to Sunday School and church, and then out to lunch with the kids and grandkids. By the time we got home, it was 3:00. I ran down to Goodwill with a carload of stuff to drop off, and then did a little shopping. Sunday slipped by quickly, and as evening arrived, chaos still ensued throughout the Caye house. Boxes scattered on the floor and decorations, in no particular order, strewn across the dining room table and a bunch of other surfaces. End result? Everything, except the family room and some of the outside, is finished. The family room will take awhile yet, since that's the room with the tree, and trees take ... well ... a long time to decorate. Such a lot of work, but the end result is lovely and we enjoy it. Relaxing yesterday would have been very difficult, because of the mess. However, a client wanted a voice-over demo recorded, and I ignored the request (it was a Sunday, for goodness sake!). But here's the thing. I never specified which day had to be honored as the Sabbath. The important thing to me was to have a day set aside, no matter what that day happened to be. So, with that in mind, I did honor the Sabbath this week; I just did it on Thursday. Since the family came over to celebrate Thanksgiving on Wednesday, that gave me all day Thursday to simply relax and reflect on God's innumerable blessings. We started off at church for our yearly Thanksgiving service and then headed out to brunch at Totin's, a local family-owned diner. The service and food was excellent and we enjoyed a lovely conversation with Joanne Totin. Somehow (however could that happen?) this included a discussion about vinegar. We spent the afternoon relaxing, ate leftovers for dinner and then headed to the neighbors' for dessert. It was a different Thanksgiving, but a lovely one nonetheless. So I guess I enjoyed a Sabbath rest after all! I hope you found a moment or two to stop the busyness. It's Black Friday! And what does that mean to me? Absolutely nothing. You wouldn't catch me out there amidst the craziness today! Not me. What does it mean to you? Well, for one thing, it means a sale on Vinegar Fridays! Actually, a big one! Today through Cyber Monday, I've reduced the price by 25%. In addition, Lulu is offering another 25% off through Sunday. Simply enter the code HOLIDAYNOW. Now, it's just possible they'll be offering an even bigger sale on Monday, but I have no way of guaranteeing that. All I can guarantee is my own 25% off sale today, tomorrow, Sunday and Monday. Fair enough? I will also send out signed bookplates for you to put inside the cover. Simply email me and let me know what you'd like for me to write on the bookplate. Don't forget to include your address. 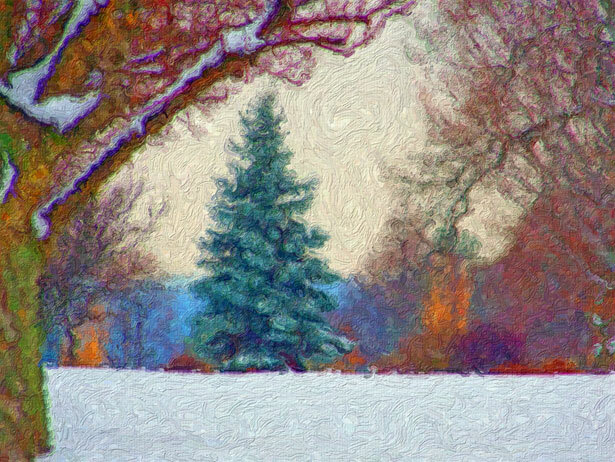 Enjoy your weekend out and about, relaxing at home, or simply doing what I'm doing -- decking the halls (and walls, and tables, and mantle, etc., etc., etc.). O Lord, how many are They works! And Leviathan, which Thou has formed to sport in it. When you visit the web page for Earth Mama Angel Baby, the first impression you get is 'these mamas love babies!' There's just no other way of seeing it. They rejoice when new life comes into this world and they grieve when a little one is lost. That is why I trust them to provide only the safest products available for my grandbabies (and the rest of the family). I simply love EMAB! Recently, in exchange for a review, they sent me a 5.3 oz. bottle of Calm and Clean Hand to Toe Wash. Of course, they were probably confident they could count on me for a positive review because, well, I simply love EMAB and they know it. However, just because I love a company and the folks that run it, and just because I get to try a product for free, does not mean I will write a misleading review. If I don't like something about it, I'll let you know. If I hate it, I'm likely to let the company know and skip the review altogether, which recently happened with a book I was asked to review. I sent the book back with an explanation as to why I could not give it a good review. Ouch. So, here's what I think about the Calm and Clean Hand to Toe Wash: I love it. Can't help it ... it's a great product! The light scent stems from the organic lavender and vanilla pure essential oils. What a nice diversion from the commercial hand soaps packed with artificial scents that linger on your hands for countless hours after you're done washing. While other soaps use artificial foaming agents to ensure sudsiness, the line of EMAB soaps does not. The castile soap is naturally foamy and comes out in a perfect puff of lather every time you press the pump. My 3yo granddaughter loves washing her hands, over and over again, with this delightful safe and natural liquid soap. While many products out there claim to be 'safe and natural' for kids, be careful. This is such a misleading claim. But when the mamas at EMAB make the claim, you know you can trust them. Why? Well, just look at the facts. No artificial preservatives, parabens, phenoxyethanol, Quaternium-15, etc. I took the above list right off their website. These are the very things that make safety-minded mamas, papas and grandparents, like me, feel really good about using this product on my grandbabies' delicate skin. The USDA Certified Made with Organic Ingredients label helps me breathe even easier, on so many levels! But don't let the gentleness fool you. Just because a product is gentle, doesn't mean it won't fight germs. Think Jacqueline Kennedy -- soft and feminine but tough as nails. Yeah, that's what it's like. And did I mention the smell? Oh yeah, that's how I started out. But it really is worth repeating. The price seems a bit high at $10.95, but when you consider you get at least 300 pumps out of each bottle, the bargain starts to reveal itself. Plus, EMAB always seems to be offering special deals. Speaking of which, the mamas are offering the GG community 15% off orders on their website through December 30, 2011! Don't you just love a generous mama?! Just type in the discount code GrGrandma when you check out. November 2, 2011 — Clackamas, OR — UPDATE: As news spreads about toxins and the ongoing concerns about formaldehyde-releasing ingredients in baby products, Earth Mama wants to spread the good news that some hospitals are making safer choices for their newborns. Earth Mama Angel Baby® products were chosen by Miami Valley Hospital, in Dayton, Ohio, as the first step in their “greening process” following a year of research on the subject of environmental toxicants and the health risks they pose to newborns and mothers. MVH delivers nearly 5000 births a year, and wanted to assure mothers of the safety and efficacy of the products they offer. Earth Mama’s Natural Non-Scents Hand to Toe Wash and Angel Baby Oil are being used on all newborns including the babies in the Neonatal Intensive Care Unit (NICU). Replacing the many different products previously offered to new mothers, Earth Mama’s organic castile soap and 100% natural baby oil offer a pure, safe, simple alternative to the myriad wipes, lotions and soaps that are often laden with chemicals, including artificial fragrance, preservatives and dyes. Nurses from MVH strove to find products that rated a 0 for toxins by the Environmental Working Group (EWG), while also meeting MVH’s own rigorous standards. Earth Mama Angel Baby was a natural choice, since the entire product line was formulated by a nurse and herbalist and it was the first company to rate all zeros on EWG’s Skin Deep database. While taking part in a nurse leadership program it became clear to Ann Brower BA, RN, IBCLC, ICCE, CD, Birth & Family Education/Lactation Coordinator, that MVH could lead the way by using the best products for their patients. "As nurses we are challenged to be leaders in the community and to help the community do the right thing. We hope our children’s children won’t have to suffer with illness, allergies, reproductive disruption and cancer. We need to set back the clock to a simpler way of doing things. This IS the right thing. This is best practice. As healthcare providers, we need to be leaders not only in safety, but also in education. We want them to learn to read labels, and realize if you have a choice, choose the one that’s least toxic." Regarding the most recent Toxic Tub news story (Baby’s Tub is Still Toxic ) , Earth Mama Angel Baby thinks it’s simple; a mama should be able to know what she is putting on her baby, and her whole family, without having to have a degree in chemistry. “With all this news about formaldehyde-releasing Quaternium 15 and 1, 4 Dioxane in babies’ tubs, we want to make it clear that Earth Mama Angel Baby has never contained those ingredients, or ANY toxins ever.” says Olson. Every Earth Mama product rates a ZERO for toxins on the Skin Deep database, and Mama’s Promise® is to offer only safe, pure, natural products that work. If it doesn’t measure up to Mama’s standards, it doesn’t leave the building. Convinced? I am. But if you need a bit more info, visit The Campaign for Safe Cosmetics website and read their report, No More Toxic Tub. When you're ready to order, don't forget to type in the code GrGrandma for 15% off your total. Earth Mama Angel Baby ... just one more thing to be thankful for! ﻿ I try to maintain an attitude of gratitude throughout the year. Sometimes I succeed, and other times I fail miserably. With Thanksgiving being celebrated here in the U.S. this coming Thursday, I am making a concerted effort to cultivate this attitude throughout the week ... and I'm relying on the book of Psalms to help me do just that. I invite you to join me in my journey of thankfulness. It started on Sunday when I heard rumours of glory. But who is the King of glory? He is the one deserving of my praise. Who see Thy face -- even Jacob. Have you heard them? Rumours of glory? They're all around us, if only we'd listen. There's a rumour of glory in the cooing of a baby. Have you seen them? Rumours of glory? They're all around us, if only we'd look. There's a rumour of glory in the blaze of yellow on a maple tree in early October. ﻿A rumour of glory in the song of the lark. I forgot to look. I forgot to listen. Yesterday, my pastor, Bob Hartman, reminded me of the rumours. He reminded me of the glory that is ... and is to come. The wonder of creation. The promise of a new heaven and new earth. I long for both. Sometimes, in the midst of all that's bad and ugly in the world, I neglect to see the glimpses of both the wonder and the promise. How about you? Perhaps the stories of child molestations and unrest in the Middle East and financial ruin have robbed you of the simple joys of living on this fabulous earth. Perhaps you need to take a Sabbath rest, if only for a few moments, and listen for the rumours ... rumours of glory. They're floating on the breeze. Just listen. 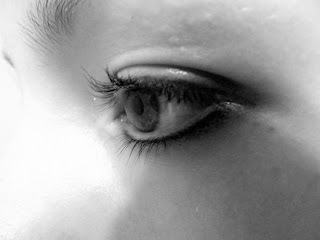 They're shining out from a child's wondering eyes. Just look. Rumours. Rumours of glory. From when shall my help come? Sit. Listen. Open your eyes. Wait for Him to show you the wonder. Ahh, the wonders of vinegar! vinegar is a necessary staple in everyone's home. At least I think it should be! Following my post about the dangers of Teflon® on Wednesday, someone from DuPont contacted me. Naturally, she wanted to let me know that the concern is unfounded and defended the non-stick cookware, despite the many, many studies stating otherwise. While I appreciate her point of view, I also am aware of who she works for. I am not a fan of DuPont (click here for one of the reasons why), or any company for that matter that ignores research implicating their products in a whole slew of health-related issues. The fact that the outgassing of Teflon®-coated pans kills pet birds is indisputable. Plus, there is plenty of evidence of it causing polymer fume flu in humans, otherwise known as Teflon® flu. More studies show a link between Teflon® and birth defects and infertility. The list goes on and on. Admittedly, I am not a scientist. I cannot back what I'm saying with fact. I can only report what other researchers have found. And so far, the only one disputing it with me is an employee of DuPont. Hmm. Could she have an ulterior motive? Granted, she did send me a link to a Consumer Reports article that somewhat defended her position. But the article starts out mentioning the deaths of birds and the flu-like symptoms that are attributed to traditional non-stick cookware. My suggestion to you is to read the article, and others like it, and make an educated decision based on the information you find. Is there a risk using Teflon®? I think so. But what is important, is what you think is best for you and your family. But today's post is supposed to be about the 3Rs. So let me tie this together as simply as I can. I have been trying to find out what to do with old non-stick cookware. After all, in my opinion, it's not safe to use, so you don't want to donate it to Goodwill or anywhere else. After all, wouldn't you hate to think someone bought your pan, went home and used it, and then delivered a baby with birth defects? Unfortunately, there are very few recycling options available. You can have the non-stick material sand-blasted off and recycling the metal pan, but that's costly. You can ship the pans to various places for recyling ( and you can sell your Teflon®to Reprolon in Texas and possibly other companies as well. Some areas are now allowing you to simply toss your non-stick cookware in your curbside recycling bin, like in Los Angeles. Check with your local municipality to see if this program is in place there yet. If not? Well, here's my suggestion: pack up a box of your non-stick cookware and put it up in the attic or down in the basement and wait. With the forward-moving evolution of recycling, this is bound to be an issue that will be addressed nationwide and worldwide very soon. Hopefully, within a year or two, there will be an easy recycling option available in your area ... and mine. To the DuPont employee that took the time to contact me -- I'm sorry if this isn't the response you were looking for. But you see, DuPont doesn't pay me for my opinion. No one does. And my first and foremost purpose as Green Grandma, is to do what I can to help my readers live healthier lives. If there is a chance that your non-stick surfaces cause any of the health issues alleged to be associated with them, well, I think it's best to steer clear. Ahh…the hustle and bustle of the holidays. Bright lights. Yummy food. Presents and parties. What could possibly go wrong? Well, for the family pet, lots of things! All those aforementioned holiday accoutrements might be spectacular for people, but they can be dangerous, toxic and even life-threatening to your four-legged friends. Keep your pets safe and happy during the holidays by heeding these oh-so-important safety tips. Resist the temptation to give your pup people food. All those luscious holiday goodies are nearly impossible to resist, especially for drooling Fido. But don’t give in to his sad, puppy dog eyes! A great many of your favorite holiday treats pose a threat to his health and could be fatal. Raw or undercooked meats and eggs can cause E. coli or Salmonella infections. Turkey and most other meat bones can become jagged and, if swallowed, cause lacerations in his intestinal tract. Chocolate and macadamia nuts are considered toxic, and can make your pet ill. According to the ASPCA, you should also avoid feeding your pets coffee, caffeine, alcohol, avocado, grapes, raisins, yeast dough, xylitol, onions, garlic, chives, milk and salt. If you absolutely cannot resist giving your pet special treats as you nibble on a cookie or two, keep some healthy pet treats in a jar nearby and give him that instead. He won’t even know the difference. With all the extra goodies filling up the trashcan, your pet will be tempted to do some “dumpster diving.” Prevent this by properly securing your wastebaskets and garbage cans with lids or in an area closed off to your pets completely. It’s also advisable to clean up toys and gift wrap immediately, as your pet might be tempted to gobble up small plastic pieces or bows, which can cause choking and intestinal obstructions. Give your pet a place to get away. Stress and anxiety can be an issue for many dogs and cats when faced with a house full of visitors. All that excitement can trigger illness, intestinal upset and erratic behavior. If you plan on having lots of guests coming and going, isolate your pets in a room or crate during the party, away from all the commotion. Better yet, consider boarding them in a kennel for the night. You can also help reduce your pet’s stress by keeping it on a regular feeding and exercise schedule. Deck the halls, not the floor. Decorations are another holiday staple that can create real problems for your pets. When swallowed, ribbon can cause an intestinal obstruction. Low positioned candles can burn a wagging tail, or worse yet, get knocked over and start a fire. Snow globes often contain antifreeze. If broken, a pet may lap up the liquid, with fatal results. Holiday plants and flowers such as poinsettias, amaryllis, hibiscus, holly and mistletoe are pretty, but they’re also poisonous. Keep these and all other decorations safely out of your pet’s reach. Water: Chemicals used to prolong freshness, flame-retardants and pesticides from the tree will leach into the water and make your pet ill if he drinks it. 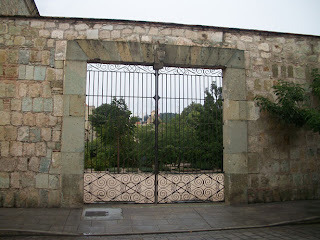 Block access to the water with a tree skirt or gate. Electrical Cords: Some pets just like to chomp on cords. Keep them out of reach, cover with tape or spray them with a pet deterrent, such as Bitter Apple or Chew Stop. Tinsel: Cats, in particular, love tinsel, but when consumed, it can cause blockages or choking. It’s best to avoid it altogether. Ornaments: Round glass ornaments look a lot like toy balls, but shinier. When broken, they can cause mouth or paw lacerations. Secure them tightly to the tree or keep them on higher branches. Needles: Pine needles can puncture intestines when consumed. Regularly sweep or vacuum to keep them off the floor. Sure, as Andy Williams croons, “It’s the most wonderful time of the year.” But not if you have to spend it at the emergency vet’s office. Keep it safe this holiday season, and even Fido and Fluffy will have visions of sugar plums dancing in their heads. With Christmas shopping underway, I thought it would be a good time to repost this information from November 2009 and add a review. While I encourage you to shop locally and wisely, and not fill the area under the tree with unnecessary stuff, there are still some practical gifts that many of us truly appreciate. In this case, I'm referring to something my daughter, Bethany, bought for me two Christmases ago, and I'm still loving. That's the key -- buying things that someone will truly appreciate. And in this case, they are something I use nearly every day. What is it? My GreenPans. Did I mention that I still love them? If you are looking for a practical gift that will make someone's home greener and safer (in the case of replacing Teflon coated pots and pans), this is it! And I've seen them cropping up in a variety of places like TJ Maxx and Marshall's -- and for cheaper than some of the online outlets. If you do decide to splurge on GreenPans for yourself or as a gift, you might want to Google them on Cyber Monday. There will probably be some awesome deals then. 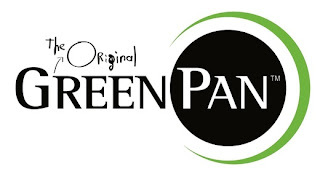 Here's the original post I wrote about the GreenPans. After nearly two years, I'm still giving them two thumbs up! While we might all love our non-stick cookware, the environment clearly does not. Neither do our pet birds. When heated, polytetrafluoroethylene, or PTFE, emits toxic fumes that can kill birds...reminiscent of the days when canaries were taken down into the mines to signal a problem with toxins. If the chemicals found in non-stick cookware, like Teflon™, can release fumes into our homes toxic enough to kill our birds, what are these fumes doing to our children? Are the toxins a danger to your baby as he sits in his high chair just a few feet away from the stove where you're cooking his dinner in your non-stick cookware? It makes me wonder. In addition to PTFE, another dangerous chemical is used in the production of non-stick cookware. Perfluorooctanoic acid (PFOA) is emitted into the environment during the manufacturing process of Teflon™ and other non-stick surfaces. Early in 2006, some individual scientific advisors to the EPA voted unanimously to classify PFOA as ‘a likely human carcinogen.’ One of the goals of the EPA is to eliminate all PFOAs in products within the next six years. Teflon™ starts to decompose at high temperatures and the gases emitted can result in hallucinations and flu-like symptoms. A study in 23 states found that 96% of children tested had traces of PFOA in their systems. I don’t know about you, but I find that statistic extremely disturbing … although not surprising. After all, who doesn’t use non-stick cookware? So, what’s the answer? The obvious answer is to stick to stainless steel, cast iron, glass or silicone cookware (no pun intended). But, thanks to a Belgium company, there is another solution. With no risk of toxic fumes, GreenPan™ cookware is heat resistant up to 850 degrees F, versus the standard non-stick cookware resistance of only 500 degrees F, and sports a sophisticated design. This alternative is not only more eco-friendly, but it also offers the convenience factor than accompanies all non-stick cookware. Check with the manufacturers if you’re unsure whether or not a product is coated with materials containing PTFE. There is definitely a danger here…experts have just not yet determined how big of one. If it says, ‘no stick’ you probably should steer clear. Unless, of course, you’re opting for the Belgium line, which can be found on HSN or other websites. Make the switch…your family will be healthier for it. Okay, now that you know the facts, let me tell you what I love about the GreenPan: It has superior non-stick properties ... and they are safe. If they weren't, I'd go back to regular cookware and forego the non-stick ones. It's simply not worth the risk. The downside, for some, involves the care of the cookware. You have to be careful how you treat the GreenPan line of pots and pans. They will scratch and chip if you fail to take care of them. For instance, I use either cardboard or towels to separate them in my cupboard. I do not stack them without something dividing them. I do not use metal utensils when cooking or serving. Metal can scratch the surface. I do not use anything harsh to scrub them ... although, quite honestly, I've never had to scrub them. With the care I've given them, I have not had any problems with them whatsoever. These are amazing pots and pans, and I could not give them a higher recommendation. That's two thumbs up for the GreenPan. I wish I knew who to attribute this bit of wisdom to, but as it turns out, it is one of those forwarded emails with no authorship. What the person suggests, however, is truly a good bit of advice. It's all about common sense, once more! It's time to think outside the box, people. Who says a gift needs to fit in a shirt box, wrapped in Chinese produced wrapping paper? Everyone -- yes EVERYONE gets their hair cut. How about gift certificates from your local American hair salon or barber? Conviction. It's a powerful thing. Have you been convicted about anything recently? 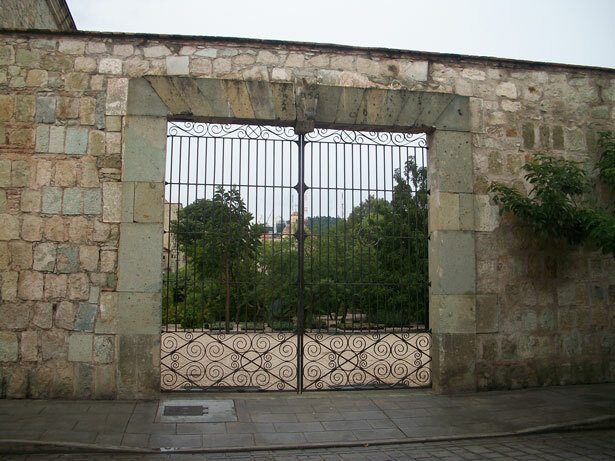 Last week, I was convicted about something during a sermon by a guest preacher at our church. While he didn't present this challenge, through what he said, I challenged myself to do something that, for many of you, would be no big deal. For others, the thought is appalling. I'm in the latter group. I decided last Sunday to go somewhere in that upcoming week sans makeup. (Like I said, no big deal for some of you). Now, you have to keep in mind that I am the type that is hard pressed to go to the mailbox at the end of my walk without putting on my makeup and doing my hair first! Of course, I'm not talking Tammy Faye Baker kind of makeup, but at least some foundation and mascara. I mean, what if a neighbor came out at the same time and wanted to chat? Gasp. I don't even like it if my kids stop by, much less my sons-in-law, and I'm au naturale. Seriously. But that's where the conviction came in. 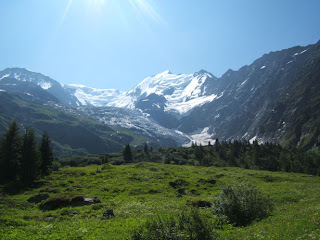 Perhaps I care too much about something that is relatively insignificant. On Saturday night, I had to go out. I'd worked hard for most of the day and then relaxed and read in a hot bath. My granddaughter was coming over for the night and I needed some things at the store. Being that it was already Saturday and I hadn't fulfilled my challenge, I swallowed hard, grabbed my car keys, and headed out without makeup and with my hair looking rather, shall we say, messy -- after all, I was lounging in a hot, sweaty bath for over an hour! I even wore my slippers. I looked like one of those women who I might have derogatory things to say about ... at least in the past. To complicate my brave adventure, I didn't discover, until I checked out at the store, that I'd left my wallet on my desk at home! That is normally an embarrassing enough situation, but with the way I looked, it was also a bit horrifying! I had to leave the store, drive back home, get my wallet, and go through the whole experience once again (with being able to pay for my purchases being the highlight on this trip). Fortunately, for me, I didn't run into anyone I knew. Phew! I actually felt pretty good about myself for following through with the self-imposed challenge. Yesterday didn't pass without a conviction, either. This time, from a Facebook 'conversation' with someone. When questioning her fondness of a celebrity I find completely vulgar, she in turn reminded me of my own questionable taste for a show many of you would see the same way. Ouch. Conviction hurts sometimes. I challenged her with the verse from Philippians: Finally, brethren, whatever is true, whatever is honorable, whatever is right, whatever is pure, whatever is lovely, whatever is of good repute, if there is any excellence and if anything worthy of praise, let your mind dwell on these things. And she threw it right back at me. Bravo! Brought to mind another verse, this time from the Gospel of Matthew: And why do you look at the speck in your brother's eye, but do not notice the log that is in your own eye? Double ouch. I'm taping the first verse to my television. Too bad I can't find a way to tape the second one on the inside of my glasses and still have vision! The moral of the last two Sundays? Humility. It's always good for the soul to be knocked down a notch or two. Thanks, Ed and Maggie. I needed that! "Of course, these are only my opinions throughout this book and I am not claiming any scientific evidence to support these opinions. Just the evidence, in many cases, of generations past who swore by many of these tips." Friday's 3Rs -- filtered water, anyone? Ahhh, Internet problems. Don't you love 'em? It is 12:40 p.m. and this is the first time I've been online today. I'm pretty sure my blood pressure is up and I'm fighting a headache. Too bad those of us who are self-employed can't all afford full-time IT people! I sure need someone to take care of all these problems for me, so I can focus on my work. That said, today's post will be very short. It's Friday and today I want to zone in on reduce, as in less waste. For this, I want to give two green thumbs up to Fairmont Hotel in downtown Pittsburgh, where I had the pleasure of staying last night. I was pleasantly surprised to discover a large glass water bottle in my room. The bottle is there so guests can fill it with filtered water from a dispenser next to the ice machine on each floor. I was staying on the 17th floor and walking down the hall to the small room with the ice and water was always a delight, because the floor to ceiling window provided a spectacular view of the city, one of the rivers and PNC Park, one of the most beautiful ballparks in the country. Why does Fairmount go to the trouble to have filtered water dispensers on every floor? Quite simply, to avoid the necessity of offering the guests bottled water. No bottled water means less plastic waste ... much less plastic waste. For that, I give the Fairmont two green thumbs up! What do hydrogen cyanide (used in chemical weapons), butane, arsenic, lead, toulene, polonium-201, formaldehyde and benzene all have in common? They all 'live' on the shirts and pants and skin and hair of smokers. They cozy down together on couches and in carpets, on bedspreads and in carseats when a smoker is in the house or car. And they all pose a real danger to your children! Babies and toddlers, in particular, are at an increased risk of cancer and respiratory problems, such as asthma, when they are exposed to third-hand smoke. Yes, third-hand smoke. This relatively new term is used to describe the smoke residue left behind after a cigarette has been extinguished. And it's bad stuff. I mentioned it briefly in a post about second-hand smoke I did a year ago. Eleven of the compounds found in tobacco smoke, and the particles it leaves behind, are highly carcinogenic. 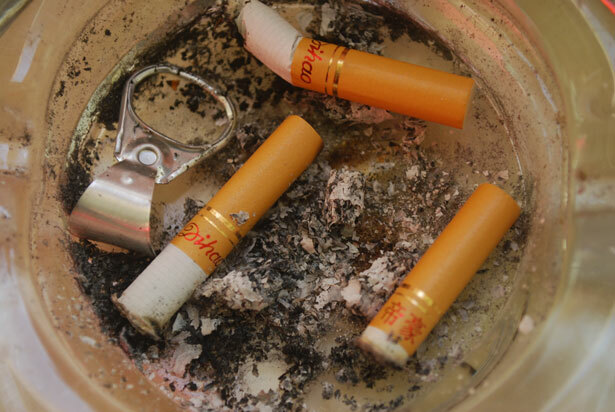 When a cigarette burns, the vapor that is released coats the surfaces of everything close by. Roni Caryn Rabin shared a definition of third-hand smoke, in the New York Times, "Invisible yet toxic brew of gases and particles clinging to smokers' hair and clothing, not to mention cushions and carpeting, that lingers long after second-hand smoke has cleared from a room." The residue left behind includes heavy metals and some radioactive materials, in addition to the many carcinogens. According to Suzaynn Schick of the Center for Tobacco Control Research and Education at the University of California, San Francisco, "you basically build up a giant reservoir of cancer-causing compounds on every surface. And it stays there." Do you see why I said, "Stepping outside is just not good enough?" It's not sufficient to simply not smoke around your kids, or grandkids. Because every time you step outside to do so, you step back in toting enough toxins to make those around you sick, especially young children, because their rapidly developing systems are uniquely susceptible to even very low levels of these poisons. One of the main concerns is disruption of lung development. TNSAs (tobacco-specific nitrosamines) are killers. They are listed as one of the most broadly acting and potent carcinogens present in unburned tobacco and tobacco smoke. Exposure is through skin contact or inhalation of TNSA-infused dust particles. Altogether, there are 250 poisonous substances present in cigarette smoke. 250!!! Stanton Glantz, director of the Center for Tobacco Control Research and Education at the University of California, San Francisco, states, "The level of toxicity in cigarette smoke is just astronomical when compared to other environmental toxins [such as particles found in automobile exhaust]. This is serious stuff, folks. Very serious. It should not be, and actually cannot be, taken lightly. Studies on rats (I know, they're not people) showed that exposure to tobacco toxins is the leading cause of SIDS. Leading cause. And it's most likely because of respiratory suppression. Umm. Do you want to take that chance?? So here's my suggestion to you parents with young children: keep them away from smokers as much as it is in your ability to do so. Check with daycare centers ... especially in-home ones, and make sure no one on staff is a smoker. Remember, they'll step outside on their breaks, and then come back inside to take care of your little ones. Yuck. Tell Grandpa he cannot smoke, even outside, when he comes to visit. And before he holds his new grandbaby, offer him a clean shirt and make sure he scrubs his hands well. Does that seem harsh? Visit the cancer ward at your local Children's Hospital and then we can talk harsh. Am I trying to make your life difficult? Am I trying to cause rifts in families? Of course not. I'm simply caring about your kids. I wish, oh how I wish, I'd had these warnings when my kids were young. They were exposed all too often with both second- and third-hand smoke, and for that, I am deeply sorry. Years from now, don't spend your life looking back in regret. Be proactive. Make changes. Love your kids enough. They deserve it. For boo boos, infections, ouchies, bruises and itchies! What is it? Another Review It Wednesday has rolled around. This week I want to praise the virtues of a product I received, at no charge, about 6 weeks ago. Often when I receive a product, I post a review fairly quickly. However, I felt I really needed to test this product on a variety of conditions before I wrote anything about it. Whew! What is this magic stuff? It's called Multi Healing Balm (appropriate name) and it's one little tube that claims to be the 'go to balm' for when you know you need to apply something but you're not sure what. What's in this miracle cream? 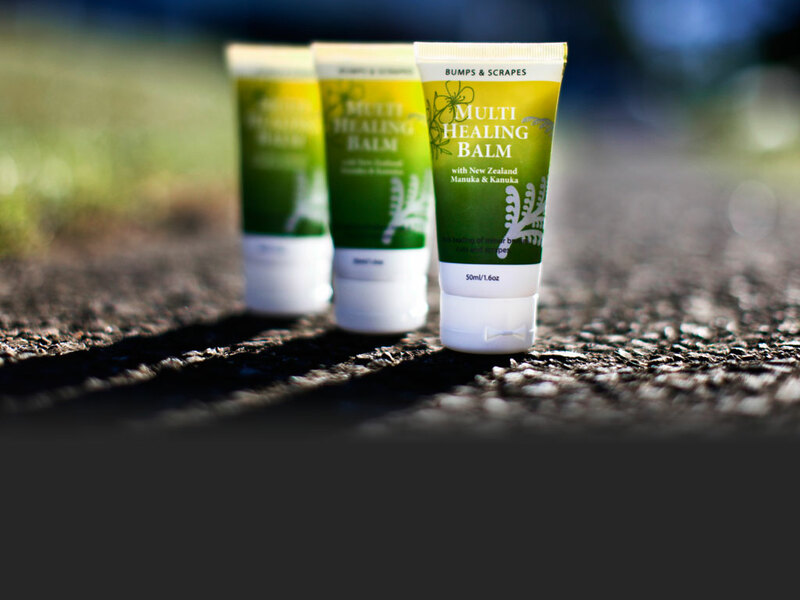 Multi Healing Balm contains New Zealand Manuka and Kanuka Oils used in traditional Maori medicine to 'heal.' Similar to Tea Tree Oil, but gentler for the skin, Multi Healing Balm includes anti-fungal, anti-inflammatory, antiseptic and anti-bacterial properties. I read up on the Multi Healing Balm, but reading wasn't going to give me what I needed for a review. So I tried it. And my husband tried it. And, other than Bill complaining a little bit about the smell initially, we liked it. It worked. My rough, dry hands softened. Bug bites stopped itching and healed quickly. Minor rashes disappeared. "It works, and that's what counts," Bill just said to me, when I questioned him about not liking the smell. And he's right. I'm not overly fond of the smell myself. But that's just a matter of personal preference. And at least it's natural and not full of chemicals. The big test for me involved shaving. I get terrible razor burn in sensitive areas, and break out in painful rashes. I decided to give the Multi Healing Balm a try after shaving one day. I smeared it on and discovered a little bit goes a long way. Day one ... no rash. Day two ... no rash. Day three ... no rash. Woo hoo! I couldn't be happier. A few small spots appeared on the fourth day, but they were minor. I applied the cream for three days in a row and was basically free of any rashes related to shaving. For me, this makes it a miracle cream! Honestly, I didn't try it for swelling or athlete's foot or a bunch of other conditions it claims to treat. But everything I did try it for worked. Really. The Multi Healing Balm was created by Jodee Reid, a Pittsburgh mother of four, who was concerned about how to safely treat all the skinned knees and bruises that come naturally to active kids. The balm cleans, heals and protects broken skin with its antiseptic and anti inflammatory properties. Manuka and kanuka oils from New Zealand were used in traditional Maori medicine to 'heal' and were known for their anti-fungal, anti-bacterial, anti-inflammatory and antiseptic properties. This is what makes them the ideal first defense against normal childhood skin injuries. Creating the balm to address her children's injuries, Jodee, a qualified beauty therapist, also realized how this could be the perfect balm for the entire family. "Pure essential oils can be wonderful in supporting the skin's natural response to healing," she says. "However, used incorrectly they can be incredibily toxic. We have created the perfect ratio of pure essential manuka and kanuka oils combined with a natural cream base so you are safe in the knowledge that you can promote natural healing of the skin without over using the essential oils. And others love it as well. Mom Sarah Bloomfield says, "Multi Healing Balm is the most used product in our household. I use it on anything and everything that comes up on my son and he has very sensitive skin. This product has never made his skin react like other products have. I absolutely love Multi Healing Balm." In my opinion, no home should be without this miracle product. If you're in the Western PA area, you can pick up a tube or two at Soergel's in Wexford or in the gift shop at Phipp's Conservatory. Or you can buy it online. The company is owned and operated by New Zealander, Jodee Reid, a qualified esthetician, savvy business woman and mother of four. One of her children is Matisse Reid, who captured the hearts of New Zealand's public due to a rare medical condition that required the family to relocate to Pittsburgh, so she could receive a rare multiple organ transplant. Please view the below video to learn more about Matisse. I seem to have gotten away from something I used to do regularly on the blog -- posting tips. So today, I thought I'd return to my roots, so to speak, and give you some tips on creative reuse of items you already have in your home, starting with an old pillowcase. Every time we travel, we end up scrounging for a plastic bag to throw our laundry in. No more. I'm going to toss an old pillowcase in the suitcase to use as a laundry bag. Bonus: the pillowcase will let the fabric breathe, unlike the plastic bag. And it can be washed right along with the clothing when we get home. A pillowcase make excellent dustcovers for computer equipment, small TVs in the guest room that aren't used often, and other small electronics that tend to be a magnet for dust. A reusable gift bag ... perfect for a stuffed toy, child's down jacket or other hard to wrap gift. Just tie up the end with some rope or ribbon. From old pillowcases to unused blankets -- what can you do with them? Well, this is the perfect time to clean out your blanket chest or linen closet. Donate the blankets you no longer use to a homeless shelter for the upcoming cold winter months. They also need bed linens and towels at women's shelters and orphanages. Make some phone calls ... find out what the needs are and then donate some warmth and comfort. If your blankets and towels are too worn to give to the shelters, don't toss them -- take them to a local animal shelter where they'll be put to good use! Looks like it's time to put old things to good use. How eco-friendly and smart is that? Review It Wednesday -- Turn out the lights!